The Azden i-Coustics® EX-503i is designed to give you studio quality sound with your smartphone or tablet. Just plug it into the microphone jack for clean, crisp audio. 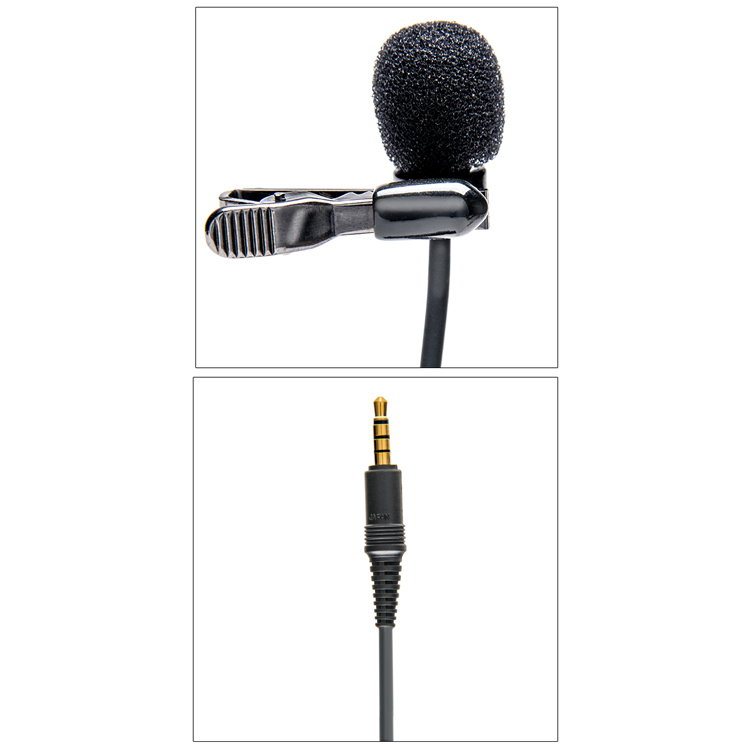 The Azden EX-503i is perfect for easy, hands free recording of lectures, speeches, dictation, interviews and more. 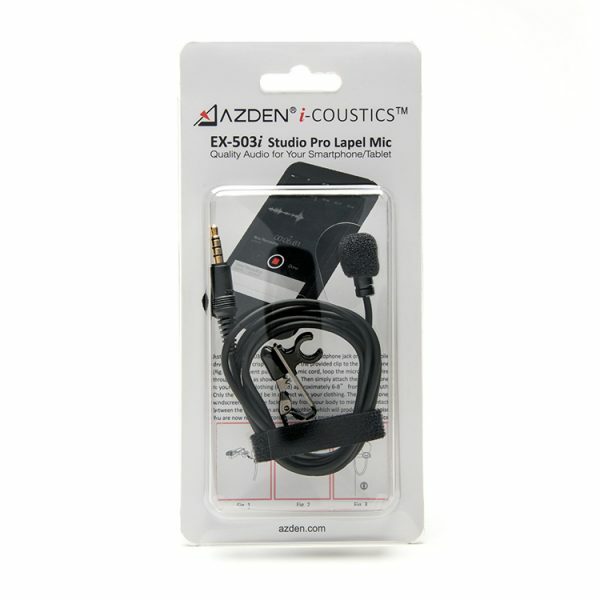 The EX-503i and other Azden i-Coustics® products adhere to the CTIA/AHJ headset wiring standard, which has been adopted by most brands of mobile devices sold in the U.S. This includes current iPhone® and iPad® models, Samsung Galaxy S® and Tab®, as well as most other Android™ devices. A list of compatible devices can be found here. Compatible with most of the available audio and video recording apps for Android and iOS devices, the EX-503i will greatly improve the quality of your audio. 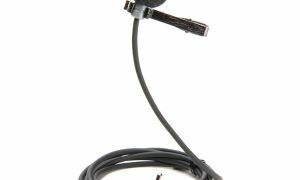 Equipped with a highly sensitive, omni-directional microphone element that sounds equally great from any direction. 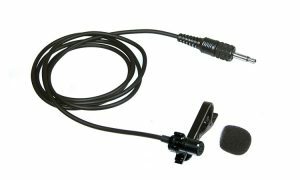 Includes a high quality, metal lapel clip to neatly and securely fasten the microphone to clothing. 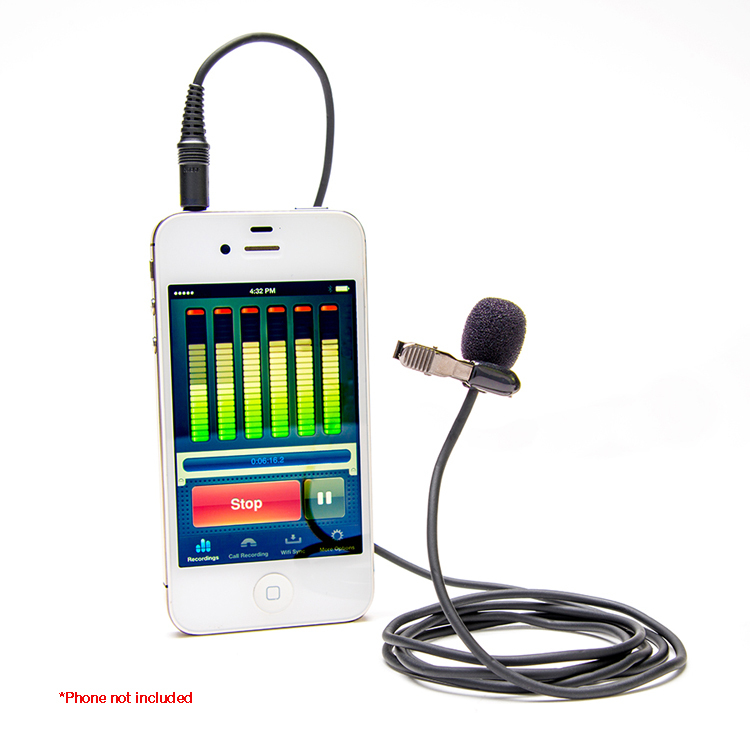 Compatible with most iOS and Android audio and video recording apps. Foam windscreen protects against wind and plosive syllables. Compatible with any device with a TRRS headset input jack.